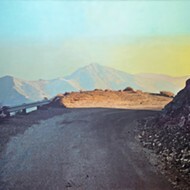 To see more of artist Kenny Standhardt's work, book an appointment at his home studio in SLO by visiting standhardtstudio.com. His work is currently on display at Park Street Gallery in Paso Robles and will also be featured at the Morro Bay Art in the Park Sept. 1 to 3. He was 12 years old when the obsession started. 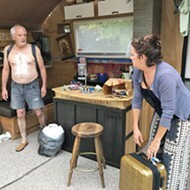 Kenny Standhardt was just a kid from a fourth-generation Pennsylvania Dutch farm west of Philadelphia when he saw a woman throwing pots at a local arts festival. GEOMETRIC For inspiration for pieces like Squash Vessel, Standhardt often looks to spectral geometry and patterns found in nature, like in the succulent plants in his yard. "I ran home just enthralled and my father helped me build a wheel," Standhardt said. "He didn't think it would stick." But Standhardt went on to apprentice for the woman he saw throwing pots and even studied fine arts in college, becoming the first of his family in generations to move more than 20 minutes away from the farm. 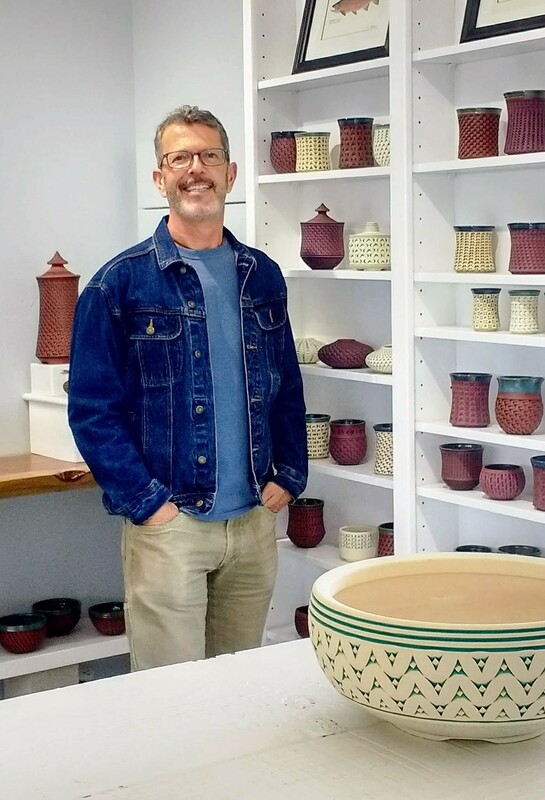 REPURPOSED Artist Kenny Standhardt and his husband remodeled the stand-alone garage of their newly purchased San Luis Obispo home into an art studio for Standhardt to make his ceramics in. "It was a big deal," Standhardt said. "But I was just interested in the world and other places." Fast forward to last year, when Standhardt and his husband relocated to San Luis Obispo from Oregon, about as far as the ceramicist has ever lived from the family farm. The two bought a former rental property in the Laguna Lake neighborhood and renovated the house over seven months, turning the detached garage into an art studio for Standhardt. "There was nothing there as far as dry wall or insulation, very limited lighting," he said. "But it was a solid structure." With a designated space to create in, Standhardt has been hard at work crafting vessels with his signature simplistic style, inspired by spectral geometry as well as shapes found in nature, like the succulent plants in his yard. Standhardt celebrated finishing his home studio with a grand opening earlier in May. 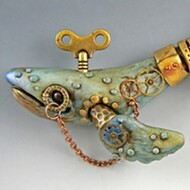 His work is also on display at Park Street Gallery in Paso Robles. 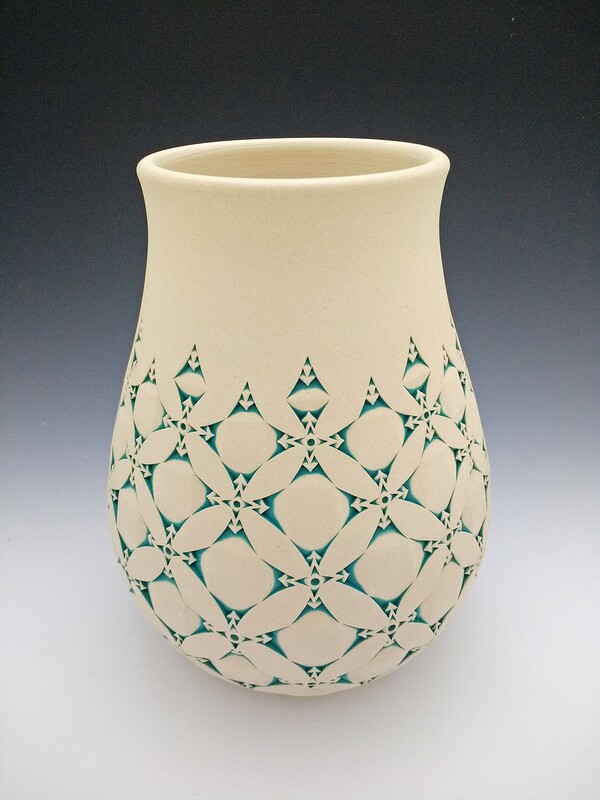 "It's a form of contemporary folk pottery," Standhardt said of his work. Standhardt's process starts by throwing each vessel on the potter's wheel and letting it dry until it's leather-hard. From there, he trims the rough edges and indents the exterior surface with a variety of handmade steel-tipped tools. In a single one of Standhardt's vessels, the number of indentations can vary from 500 to 5,000, each placed by hand and eye, meaning no two vessels are ever the same. 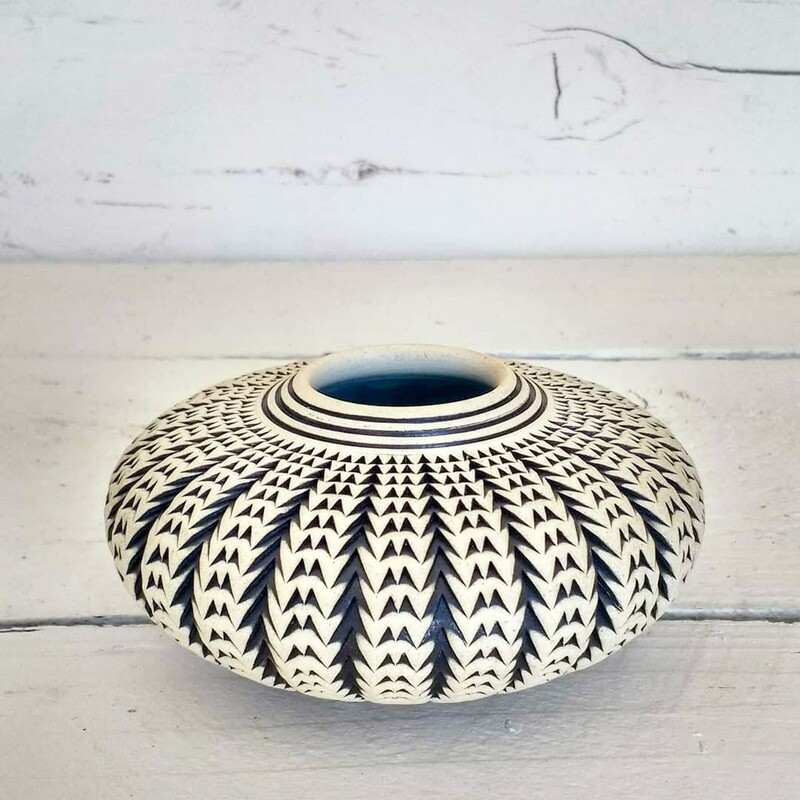 Each piece is given further character by carving and incising the rim, in designs that reflect Pre-Columbian patterns and form. DETAILS The designs on each of Kenny Standhardt's pieces, like Floral Vessel, are done by hand, meaning no two are exactly the same. When the piece is dry, it is stained and fired to a stoneware temperature of 2,150 degrees Fahrenheit. All of Steinhardt's vessels are made of tough stoneware, glazed on the interior and can be used in the oven, dishwasher, and microwave. When it comes to the debate between viewing pottery as craft or high art, Standhardt sees it from both sides. "I don't really find any conflict," he said. "I think there's a beauty to well made craft that is used in a very functional way. And art is experiential." After all, deep down, Standhardt is still just a kid who grew up on farm where everything had a purpose. Arts Editor Ryah Cooley is spinning round and round at rcooley@newtimesslo.com.